You are here: Home / Celebrity Photos / Joseph Mastando Rocks At The Jingle Ball 2014 Pre-Show! Pics Here! Joseph Mastando Rocks At The Jingle Ball 2014 Pre-Show! Pics Here! Joseph Mastando of the band Pros & iCons performs at Z100 & Coca-Cola All Access Lounge at Z100’s Jingle Ball 2014 pre-show at Hammerstein Ballroom in New York City on December 12, 2014. Not enough Joseph of Pros & iCons? Check out more pics below! 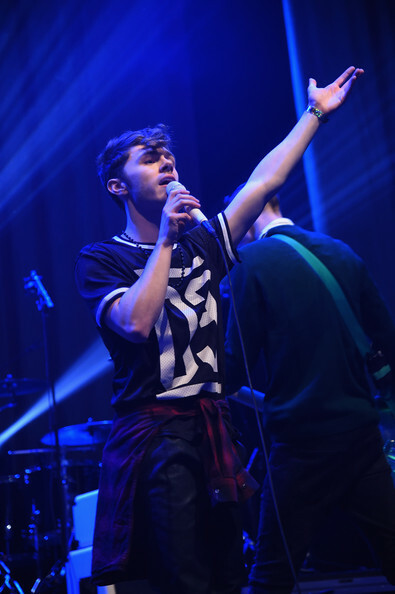 « Jake Roche Awesome Performing At Jingle Ball 2014 Pre-Show! Pics Here!